The relationship between the individual and society is at the core of Mundane History by Anocha Suwichakornpong, but far from being a straightforward treatment of causality or employing a definitive narrative context, the film expands its theme to tackle spiritual and philosophical considerations as well. This expansion reaches as far as cosmological imagery – a juxtaposition with domesticity perhaps realised more coherently than in Malick’s Tree of Life. 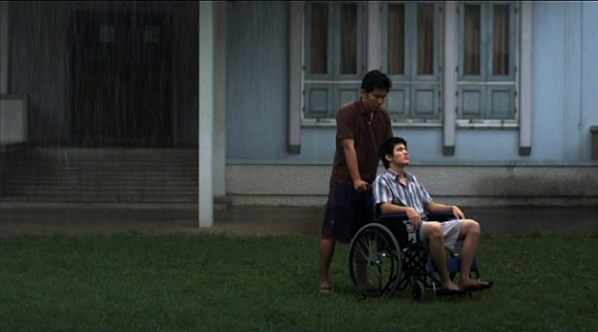 The plot concerns a young man, Ake (Phakpoom Surapongsanuruk) who is paralysed from the waist down and confined to his room in his father’s manor house. Cared for by male nurse, Pun (Arkaney Cherkham), Ake oscillates between fury and obstinacy at his new, restricted world. Ake and Pun’s initial interactions are awkward, with Pun seeming unprepared for the tension and emotion of his patient, and Ake resistant to conversation with his round-the clock carer. Eventually the two find common ground, with both expressing their previous ambitions toward creative careers – one of many instances of the way the film is concerned with differences between outward appearances and internal desire. The sense of an underlying, unspoken strain in the household – demonstrable by Ake’s father’s persistent absence – is maintained throughout, not only by the other inhabitants, who hold back from open conversation, but in the quiet, still shots of the house – both internal and external – that show through diegetic sound, how little seems to occur there. One wonders if this was the case even before Ake’s accident – the cause of which is never revealed – or if the quiet respectability is inherent to the patriarchy of the home. In an excellent interview included with Second Run’s DVD release of the film, Suwichakornpong speaks of the way the film deals with the notion of life cycles in Thai culture. 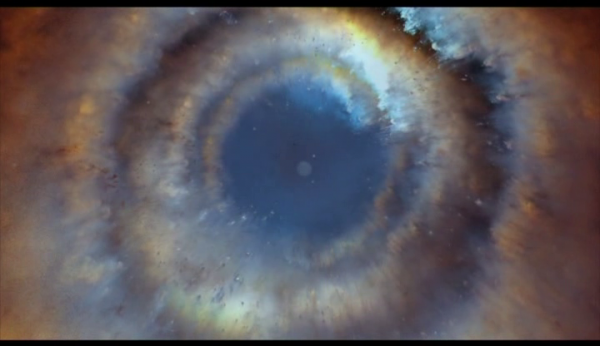 The stages of birth, decay, death, and rebirth are present both in the imagery of human childhood and Ake’s condition, and the montage, or layering of images of nature with a voice over describing the life cycle of a star. A shot of Ake’s empty room: the bed and chair notable for his and Pun’s absence cut to footage of a caesarean being performed. When described simply in this way, the grand, national and cosmological reach of Mundane History might seem heavy handed, however the effect is quite the opposite – by this point sympathy for Ake and Pun’s combined enclosure – one physical, one socio-economic – is established well enough to view their circumstances as symptomatic of the cultural norms (and life cycle) of the country as a whole, and reflective of even the most banal existence sharing elemental origins with other life forms. It is testament to Suwichakornpong and editor Lee Chatametikool’s deft handling of the films various audio/visual elements that the pervading result comments on family structure and Thai culture with such subtlety. Finding the right music for the soundtrack was key for the director, and the editing process required a song that would compliment the visual edit. The final choice of a song by Malaysian band Furniture combines with visual shifts in the film, and punctuates the narrative. This punctuation was for the director a way of creating little ‘explosions’ of sorts that gradually expand, providing a way to introduce the cosmos to an ostensibly domestic setting. Comparisons with Apichatpong Weerasthakul are inevitable, given the films ambiguity and balance of spiritual/familial aspects, but Suwichakornpong has clearly developed her own aesthetic, and one that is closer in its use of non-linear narrative to Wichanon Somumjorn’s In April the Following Year, There was a Fire (my review of which, you can read here). Mundane History is an invigorating, hugely rewarding film, and one that only improves on repeat viewings – don’t miss the directors fantastic short Graceland also included in another excellent release by Second Run DVD.